The Sensa Romagna Tiagra road bike is a great value for money all-rounder which has been specced with capable componentry including a dependable, precise shifting Shimano Tiagra groupset. The Romagna features a stiff, lightweight 7005 alloy Hydroformed double butted frame which gives a noticeably responsive feel when you get out of the saddle to accelerate; with a lightweight Supra Carbon STR8 fork road vibration is dampened and steering remains positive and confidence inspiring when descending at speed. 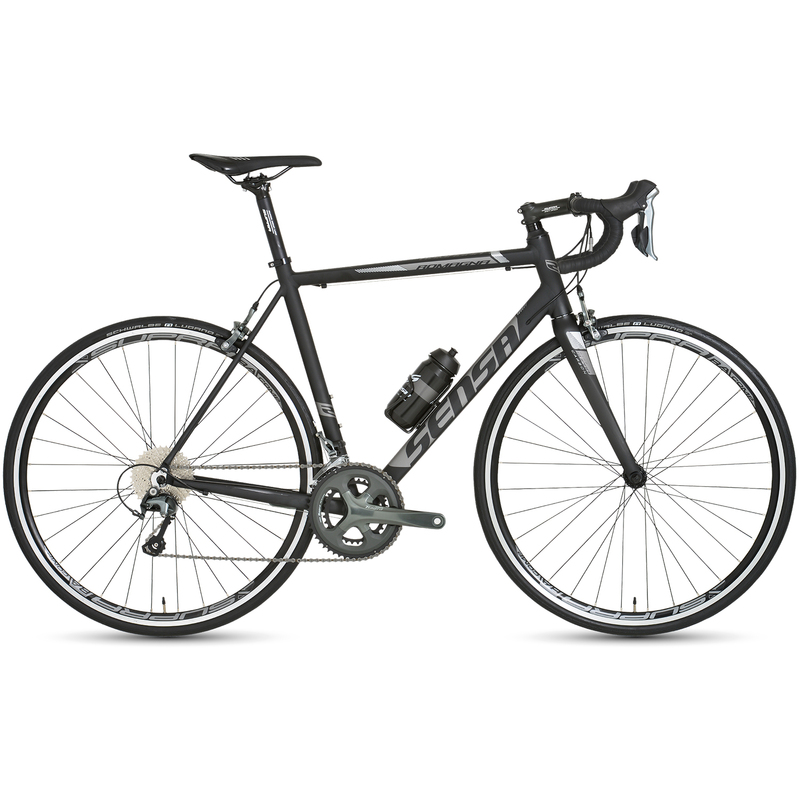 This great-handling alloy road bike is ready for long distance rides, commuting or even your first foray into road racing. The Sensa Romagna Tiagra road bike features a full Shimano Tiagra 10 speed groupset which features a compact chainset with 50/34T chainrings and a wide ratio 11/32 cassette giving you an excellent spread of gears that will enable you to conquer the steepest hills you can find. With a subtle Matt finish and toned-down graphics the Romanga has a stylish, understated look while the beautifully smooth welds give the appearance of a higher specification carbon road bike. Nice looking bike, rides good as well. This is the first road bike I have purchased and so far I'm really pleased with the bike and the service from Merlin Cycles. The bike arrived after just 4 days and the delivery was easy to track with constant updates. The bike itself is great and I've been in contact with Sensa to clarify some details about the bike and they were extremely helpful and friendly.